A leader in the design and manufacture of world-class marine navigation, autopilot, radar, communications and fishfinding systems, Simrad Yachting announced today a new, unlockable add-on feature for Halo Pulse Compression Radar Systems – VelocityTrack. Increasing boater awareness, VelocityTrack provides instant visual feedback on the motion of radar targets in relation to the boat, reducing the risk of a collision. Using the Doppler effect, VelocityTrack enables Halo™ radar to determine whether a target is closing, diverging, or stationary relative to your boat. Closing or approaching targets are automatically highlighted with the option to de-emphasize diverging or retreating targets. A perfect complement to MARPA, VelocityTrack offers an immediate view of all relative target motion, making it easier to pick out relevant targets to track and ignore targets that are not a collision risk. Starting in June 2017, consumers can download the feature by purchasing a VelocityTrack unlock code from a Simrad dealer or from the GoFree Shop. 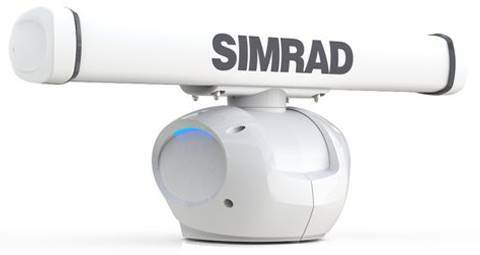 For more information on Halo Radar or other products from Simrad Yachting marine electronics visit www.simrad-yachting.com.